Grab the latest Air Asia sale flights for local and international trips! This round of affordable fares is for the months of August, September, October, November and December 2017. 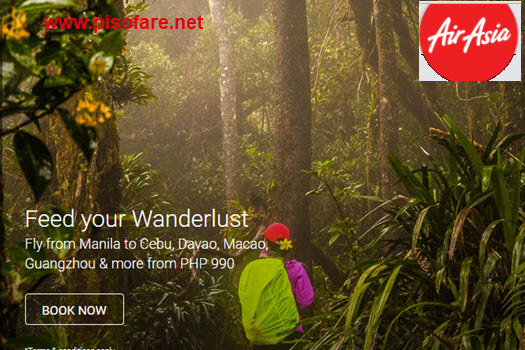 Featured on this seat sale is the P690 Air Asia promo fare from Puerto Princesa to Cebu. 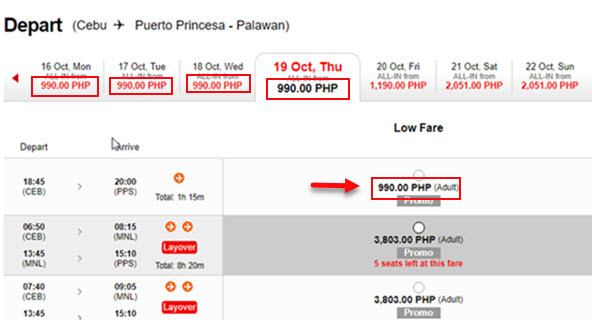 Trip from Cebu to Puerto Princesa cost P990. Travel from Manila to Boracay via Kalibo for only P1,190. From Kalibo reach Caticlan Jetty Port for transfer to Boracay Island for 2 hours. If not, fly directly Manila to Caticlan for as low as P1,990. To avail the Air Asia promo ticket, advance booking is required. Book as soon as possible if you want to get the cheap tickets. Sale seats are limited and may not be available on all flights! Air Asia promo fares are valid for one-way trip and cover the base fare, Aviation Security Fees, taxes & fees and 7 kilos cabin baggage. Starting October 1, 2017, Air Asia will be flying the Manila to Iloilo and vice versa. 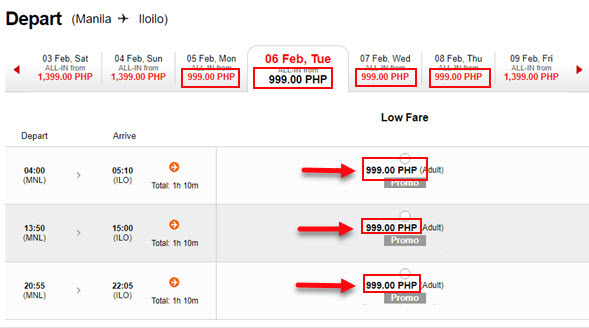 For passengers on this route avail the Air Asia P814 sale ticket Iloilo to Manila and P999 promo fare Manila to Iloilo. Ticket reservation for this promo is until August 27. Travel period starts October 1, 2017 until August 28, 2017. Want to get the Air Asia promo tickets? Please log-on at www.airasia.com and book your ticket online. Promo Code not needed when booking. Payment of Air Asia tickets book online can be made thru credit cards (VISA/ Mastercard), internet banking (Dragonpay) or pay the low fares at Payment Partners of Air Asia: 7-Eleven, Cebuana Lhuillier, SM Store, EC Pay, M Lhuillier, Bayad Center, Robinson’s Store. For inquiries, please call Air Asia hotline number: (63-2) 722 2742 from 7AM-11PM. Want to be updated on airline promos? Like our Facebook: PISO FARE TICKET for Air Asia, Cebu Pacific Air, Philippine Airlines, Skyjet and other airlines seat sale, PISO FARE 2017 to 2018 and travel updates!!! 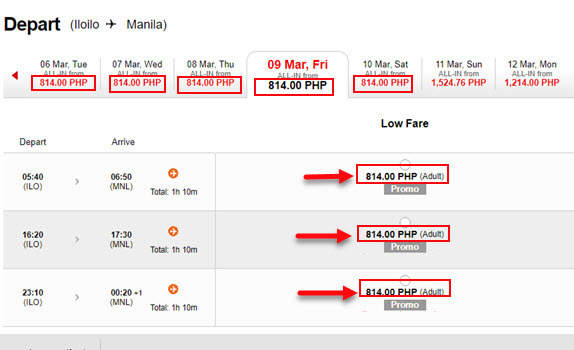 How much fare from manila to cebu this coming december 11?